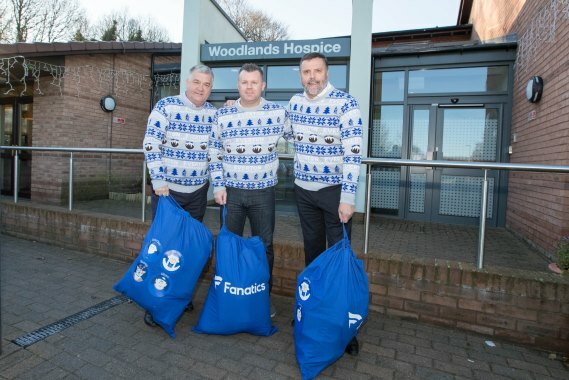 Former Everton legends and club ambassadors Graeme Sharp, Ian Snodin and Graham Stuart visited Woodlands with Christmas gifts, goodwill and festive spirit this week. 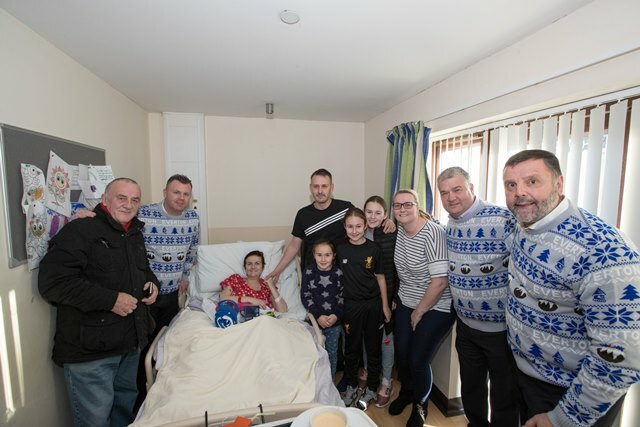 The players gave over two hours of their time chatting with patients and staff and handing our blankets, mugs and other presents. 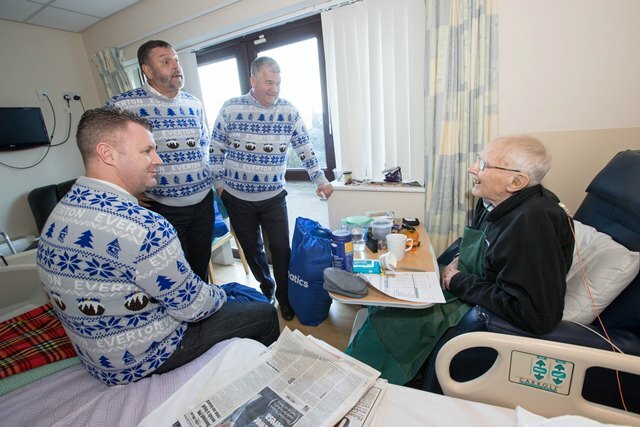 It was the latest of many visits to Woodlands for ex-Goodison striker Sharp, who has supported the hospice for many years. "It was a fantastic gesture, which was very much appreciated by us all. We are situated just three miles from Goodison Park and each year we receive excellent support from the club. “The Christmas visit is looked forward to so much as the Hospice staff can see how it lifts the spirits of the patients and families that we are caring for and supporting, at a time which is often a difficult one for them”. "Our patients - even the Liverpool fans - were very grateful for the opportunity to meet them and chat about the latest Merseyside football gossip." "We look forward to continuing our relationship with the club in 2018; they do a brilliant job in the local community." Everton ambassadors with Claire Palmer and family. The three ambassadors, Graeme Sharp, Ian Snodin and Graham Stuart, meet Graham Bevan and his family. “It’s been an absolute pleasure, as it is every year, to meet so many lovely people today," said Graeme Sharp. "We can only imagine how hard it must be not to be at home with family over the festive period, so hopefully we managed to take their minds off it for a little while and cheered them up."